Sometimes being a fixer to the stars isn't all that it's cracked up to be, and apparently 'some damage can't be controlled'. 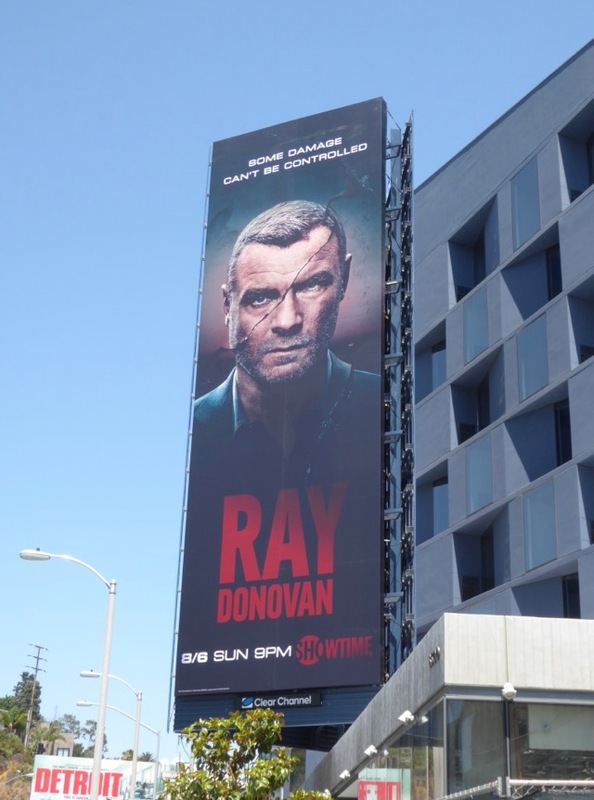 Fresh off an Emmy nomination for his titular role, Liev Schreiber returns as Ray Donovan for a fifth season of Showtime's gritty drama. 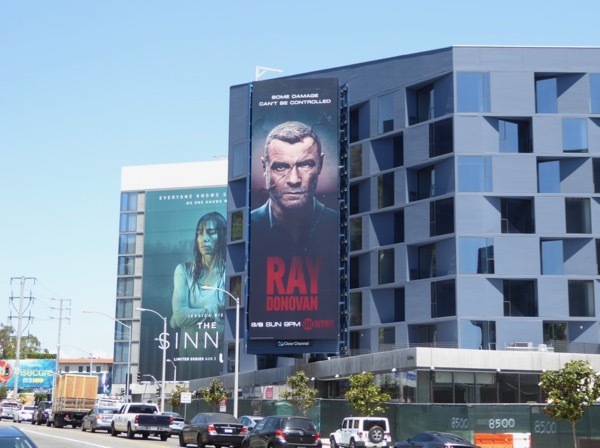 These season five landscape and portrait billboards were snapped along Pico Boulevard and the Sunset Strip from July 21 to July 26, 2017. 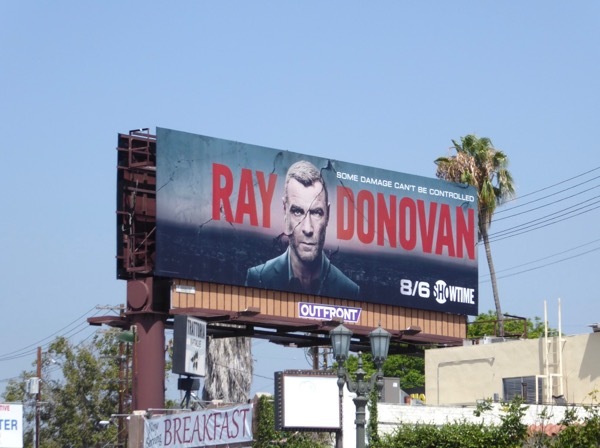 Fans of the show can also enjoy these previous season promo billboards for Ray Donovan from recent years. 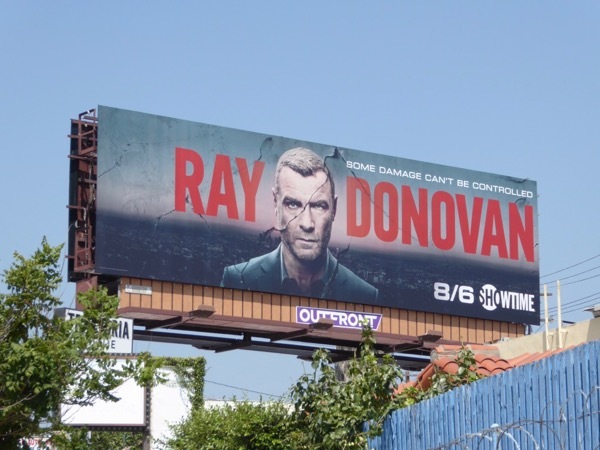 This season Susan Sarandon guest stars as a new Hollywood client, the head of a movie studio that needs Ray's unique talents to help solve a high-profile problem, which we're sure will lead to all kinds of trouble for him and his family. 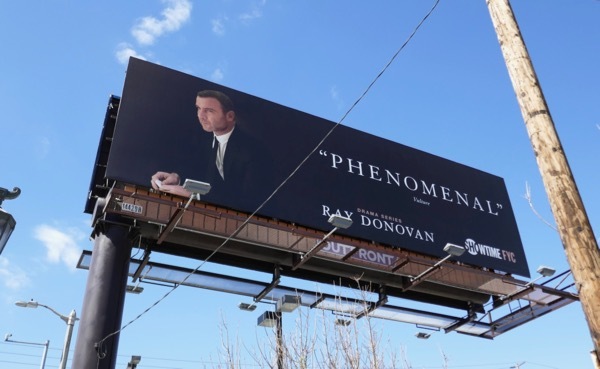 UPDATED: Here's also an Emmy consideration billboard for the fifth season spotted along Highland Avenue on May 25, 2018.